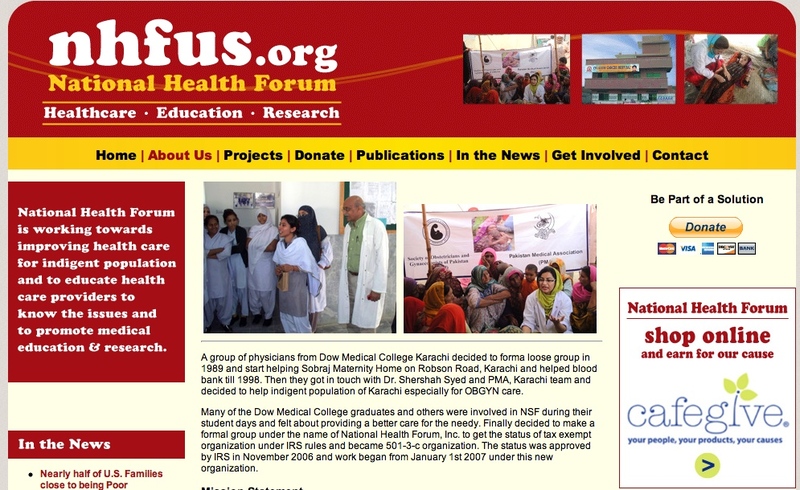 Anyone interested in healthcare in Pakistan – check out and support National Health Forum (NHF), a registered tax-exempt organisation in America initiated by a group of Pakistani doctors, many of whom were activists with the progressive National Students Federation (NSF)in their student days. Video footage by Sakhawat Ali, tel 03012712659, Karachi. Your life’s work more than done. To ask more of you. At the end of the line. 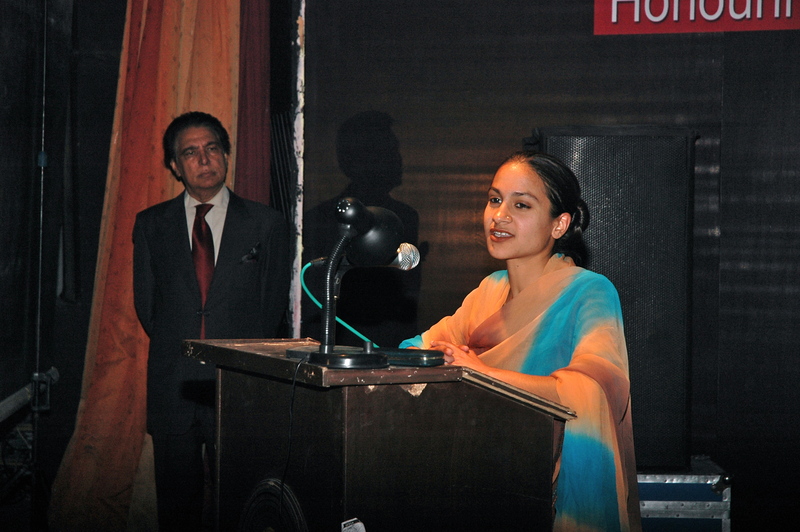 For the complete post, including Fehmida Riaz’s poem sent to Badri Raina, at this link. 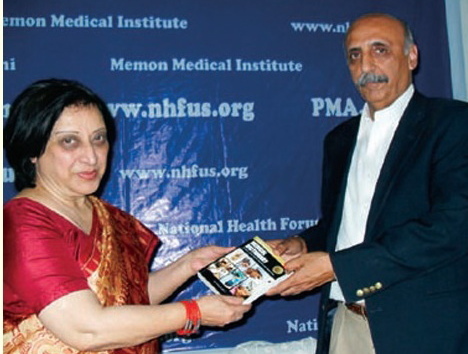 KARACHI, Jan 10 (PPI): In order to bringing positive, deep and lasting sociopolitical changes in Pakistani society it is necessary that students should play their due role and mount pressure on the policymakers through their activism to focus on the burning problems faced by our society and its people. 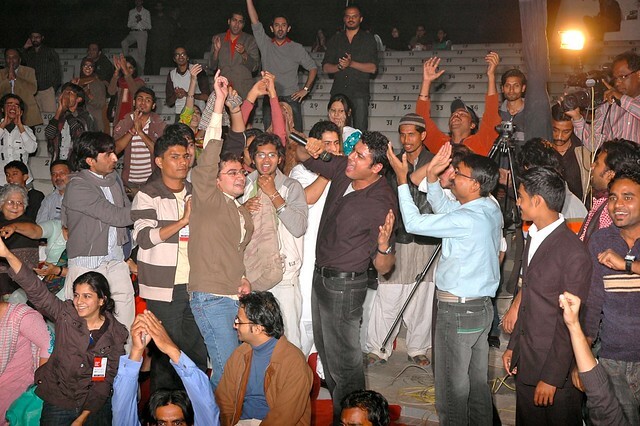 For this purpose it is a must that student unions should be strengthened and their elections held on urgent basis. This was said by speakers of a moot here on Saturday evening at Arts Council of Pakistan, Karachi to pay rich tributes to the martyrs of “Students Movement 1953”. This historic student movement was launched by Dr. Mohammad Sarwar, which played an important role in strengthening the leftist student movement in Pakistan. 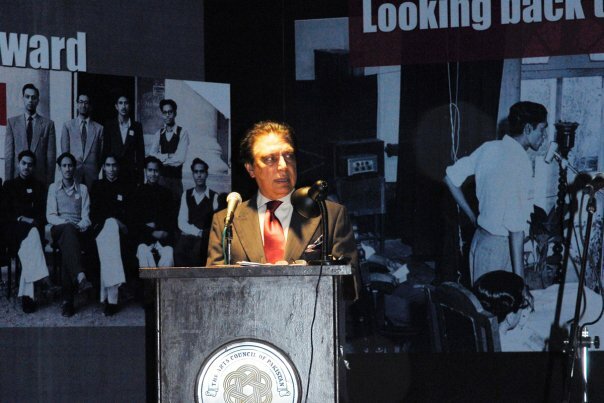 ‘Looking back to look forward: Celebrating the 1953 student movement, two events held in Karachi to commemorate the 1953 student movement and its activists. Click the image below for album. More photos at the album at this link. What an amazing response to ‘Looking Back to Look Forward – Celebrating the 1953 Student Movement’. 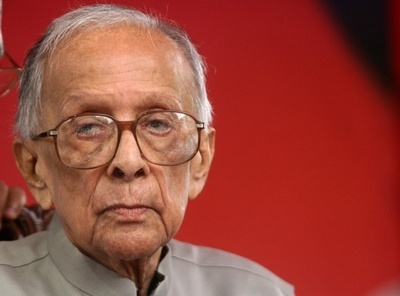 (‘…we look back not to revel in nostalgia, WE LOOK BACK TO LOOK FORWARD,’ said veteran journalist Eric Rahim in an email while we were conceptualising the event). We didn’t think we’d be able to fill the 1000-seater hall. Everyone said “be happy if 500 people turn up”. 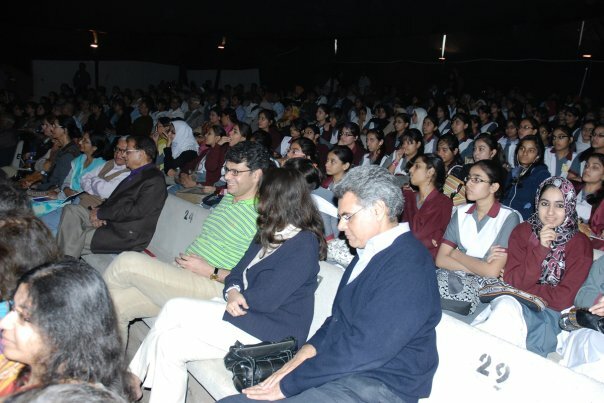 The hall was FULL, thanks to the energy and enthusiasm of the volunteers and participants – students and youngsters from Sindh Awami Sangat (huge team of volunteers and a crowded bus-load of participants), Szabist University, Ziauddin Medical College, PECHS Girls’ School (thanks to Seema Malik, 150 students who formed the heart of the audience and kept up the tempo with their youthful energy), and other groups. “It’s not just the event, it’s the timing of the event that’s important,” said Hiba Ali Raza, one of the student volunteers. “At a time when things look so bleak, and people are so depressed, this was very significant”.